This topic contains 18 replies, has 10 voices, and was last updated by David Cole 4 years, 10 months ago. Numbers decrease some before the move to the new forum, and yes, probably lost a few people with the move. Memberships continue to stream in, as the readership stays consistent. Many have gone from getting involved in conversations to just viewing. Many use social media instead. 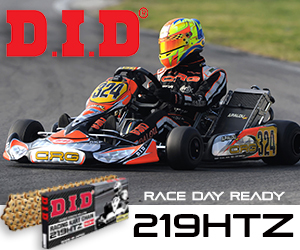 We still however are the hub of karting, and many new racers to the sport come here to ask the questions, get tips, and are directed to some of the best businesses in the industry to purchase their next product. It is the off season here in Chicago as it is in Ohio and it’s too cold here to work in an unheated garage. If people are not working on their karts maybe karting is not on their minds, hence the fewer. I’m sure there will be more people on the EKN forums as the racing season approaches. There seems to be a fair number asking questions and getting good answers. While it’s a shame that EKN lost some if its participants because of the new forum format, it is still the best source of information next to your local kart shop and a lot easier to go to. and some may be blocked at the moment. I wasnt able to post anythign or reply for a while until I wrote ekartingnews about it this week. reason: I needed to change my profile name to show both First and Last name. Funy thing… I had already done done months ago, but account was still blocked. that MIGTH be another reason… not sure. It seems like to me it has slowed down to, especially since the change, it just doesn’t seem to have the same amount of participation from people. I hope it will pick back up soon. Yep. This site is ghost town. Really sad. The new format to login or register is just weird and a pain. “New post since last visit”. I do get to view the first page of new post, yet if there has been enough traffic to have a second page the second page comes up blank every time. I think that happens with the search as well. I think I read a few months ago where EKN knows about this problem and were going to fix it yet IMO an important tool that a regular viewer would utilize is still broken. Maybe you could slow down the flashing adds frequency a bit to make the forum side of the web site work better? We are receiving at least 20 new members a day. To me, that’s growth. It’s taken people time to adjust to the new forum, and like the old forum, many just watch without posting. The forum is to answer questions about the sport. We’ve eliminated all the drama BS that occurred on the old site. Our mission is to provide a place for karters to ask and discuss the sport. Rod, for someone who seems to think the site is a ‘ghost town’, you are posting one classified a month. Classifieds continue to be our busiest section of the forums. – AND YOU SOLD YOUR LAST ITEM. I’d say that’s a success, wouldn’t you? You can find those at the top of the screen where it says EKN Forums with the little logo next to it. No. Just any growth isn’t much success to me. I guess it just depends on the goals you establish. It just seems like before I would go to the general discussion area and the front page there would be several new topics and chatter. Now on the front page there are topics that haven’t been replied to in almost 3 weeks. I use to come and be able to spend a lot of time learning and watching people discuss topics, now I can come and look at classifieds, look at general discussion and a few other things and be done in 10 min with all the new posts I want to read. The lay out it great, graphics are great, everything seems to work very well, but I think something happens with the quarky way the login works that people just give up trying to join or log in. Is the site a “success”? Those are relative terms, but I think it could easily be 3 times more busy. Please be more specific. I keep myself logged in and never have any issues when I log back in. We had an email issue previously that was corrected, which hampered the registration process. Since we fixed that, new members continue to come in every day. My username is “Rod Hawkins”. If I try to login using that user name it doesn’t work. I know the trick now, because I have done it enough times, but the trick is to login using “rod-hawkins” and it will work. It is very frustrating to figure out at first and I almost gave up, and if I weren’t so OCD, I would have long ago. Which makes me wonder if that is why the site seems slower than it did before the change? The registration says no spaces, thus why you have the ‘-‘ instead of a space. For those that struggle with viewing multiple pages of new posts, there is an easy solution. When you search for new or recent posts since your last visit, it often times shows there are multiple pages, but once you finish with the first one and click page 2, they are all gone. The work-around that I use is to open all the pages right away in new windows or tabs. In other words, if it says there are 75 new posts (at 25 per page), open page 1, 2, and 3 all in separate windows or tabs, then they will be there until you close the windows. Otherwise the system reruns the search to bring you page two, and since you’ve been at the site awhile already, it thinks there are no more new posts. I don’t know what was accomplished by switching to the new format. I hope something got better but it certainly wasn’t the forum. You had strong participation on the old format. The day you changed to the new format participation dropped drastically and it never really came back. You can blame it on social media or the stars and the moon or whatever but the net result and the cause are obvious. That all sounds good but in a forum content is king and the lack of it is contagious. The “classic” style forum would work perfect on a smartphone with the right theme.. which many are available for free. This one is alright, but nowhere near as good as the old forum was. Switching forum software should not have been a financial decision. phpBB, which is what the old forum software was, is completely free. The old forum used an older version of phpBB and if I remember correctly its been said there was some reason the old forum could not be upgraded to the latest version of phpBB. Even so, they still could have created a brand new install of phpBB. I could never log in, it forced me to get a new email and restart over and I finally got to log in. I’m guessing, but switching to the new web site was not an easy decision because of financial, hardware and software concerns. And I think EKN did a good job making the switch over. The only thing EKN asked was that you reregister for the site. There was no fee involved and no physical effort. The FORUM is free so karters can exchange ideas and help other karters. Does the site run perfectly, no. Will it get better, I assume so. Will it ever be perfect? No, because everyone’s idea of perfect is different. And for some if the issues, some karters have come up with work arounds. Maybe you’re not aware of some of the advantages of switch the site. There’s a new device that might catch on in the future, a smart phone. 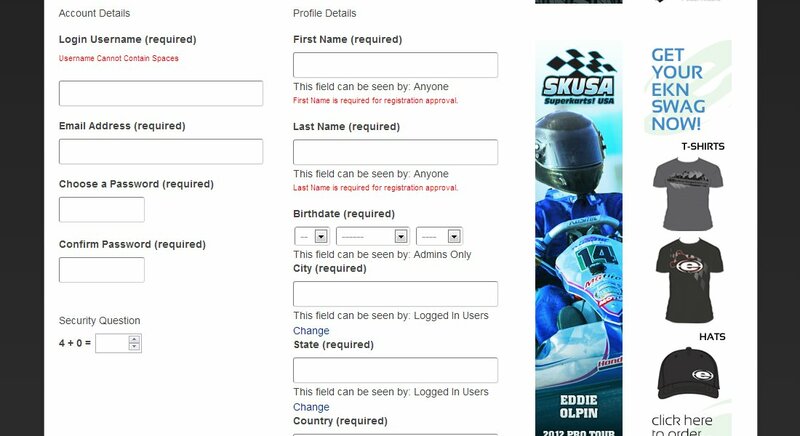 Karters are using it for online race entry, directions to get to a new track and to find motels. There are apps for checking on the weather and there are apps for carb tuning. The new site works great on a smart phone. Try pulling up the Classic Forum on a phone and see how not easy it is to navigate or read. Could the old site send you an email? Think not. With all the stuff you sell in the classifieds, couldn’t see why you wouldn’t want to know as quickly as possible if someone was interested in buying from you.